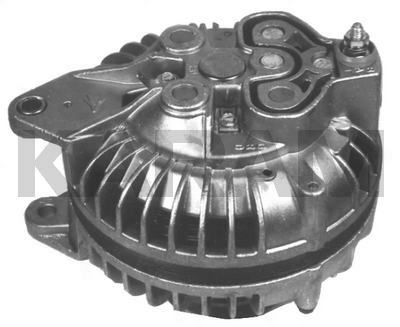 This is a "Round Back" Chrysler Alternator With a Single Pulley and a Single Field Terminal. The Pulley is 2.75" Diameter, and is Made for a 3/8" Belt. There are Versions With Lower Amps, But This Will Replace Them.